Have you ever been struck by the way some ‘experts’ retain their reputation despite being spectacularly wrong on just about everything? People like Paul Ehrlich (are we about to freeze or burn to death Paul?). 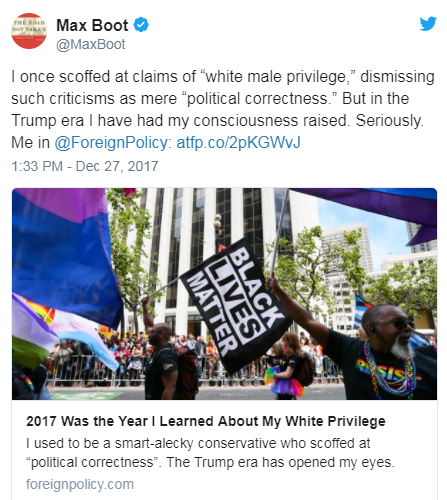 Max Boot, the ‘conservative foreign policy expert’, is another one. Every forecast he’s made proved catastrophically wrong (Iran was supposed to have nuked Israel by 2015) as has every one of his policy recommendations. He proclaimed that American military intervention against Afghanistan, Iraq, Libya and Syria would transform these countries – with minimal casualties or destruction – into liberal freedom-loving pro-Western democracies. Yet instead of being on trial for war crimes he remains a key member of the immensely powerful Council On Foreign Relations while his ‘expertise’ is eagerly sought by the MSM – a platform he uses to fan the flames of new American wars – this time against Russia and Iran. And now he’s created another flurry by suddenly discovering that he’s the beneficiary of White Privilege, a somersault that has been eviscerated by left-wing feminist (!) Caitlin Johnstone. 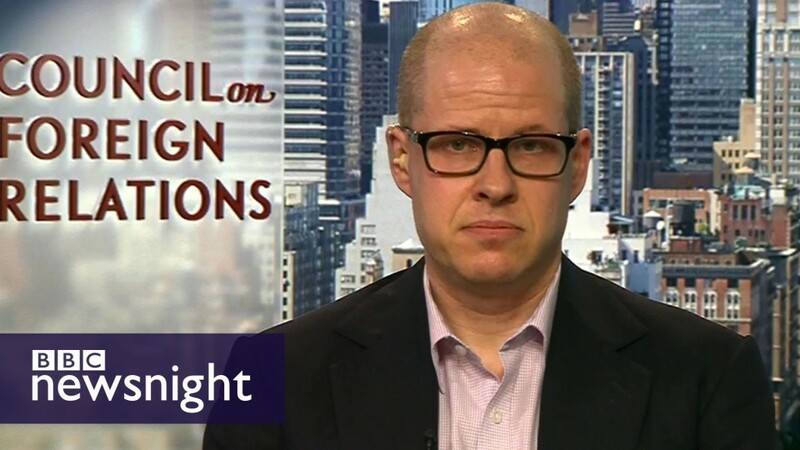 “Max Boot is courting Democrats because his war-hungry ideology is being increasingly rejected by Republicans” and Trump in particular who’s not bellicose enough for this particular armchair warrior. Unfortunately most of Libtardia is clucking and cooing at a prominent ‘conservative’ figure seeing the light. But Boot (or should that be Bootski or Bootov?) is not now and never has been a conservative. No more than he is now a liberal. As with all the Jewish Neoconservatives (but I repeat myself) his migrations between liberalism and conservatism stem from the perception of what’s good for the Jews, specifically for Israel. The destruction and slaughter inflicted on Iraq, Afghanistan, Libya and Syria were never about American interests but about weakening Israel’s regional enemies. And that’s why he’s now beating the drums for war against Iran and its Russian allies.